Do you have a question about iOS 9? We got you covered. When you call “Hey Siri,” you want to know your phone is listening to you. But with the new proactive intelligence in iOS 9, Siri will start to anticipate your desires before you even have a chance to ask. That’s just one of the updates announced Monday at Apple’s Apple’s annual Worldwide Developers Conference. Rather than adding a ton of new features, Apple focused on refining the experience of using your device. This time around, Siri can use your location, time, app usage and connected device data to forecast your needs. Several built-in apps get either updated substantially (Maps, Notes) or replaced entirely with more exciting alternatives (Wallet, News). And iOS 9 also brings two-apps-at-once functionalities to the iPad. When is iOS 9 coming out? 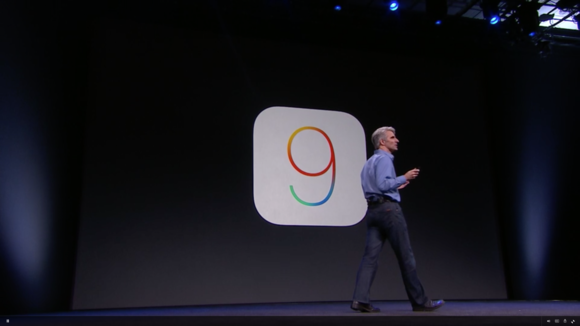 iOS 9 will be available this fall as a free software update. But members of the Apple Developer Program can start tinkering with iOS 9 today and a public beta program will be available in July. iOS 9 will run on the iPhone 4s and later models (5, 5c 5s, 6 and 6 Plus); on 3rd generation iPads and later; on all iPad Airs; on all iPad Minis; and on 5th generation iPod Touch. Give me the water cooler version of everything that’s new in iOS 9.
iOS 9 brings a couple new security features that should help keep your data safe if your iPhone or iPad fell into the wrong hands: Six-digit passcodes by default, instead of the four-digit default passcodes we use now, as well as native two-factor authorization whenever you try to sign in from another device. I’m considering going from Android to iOS. Is there anything in this release to help convince me? 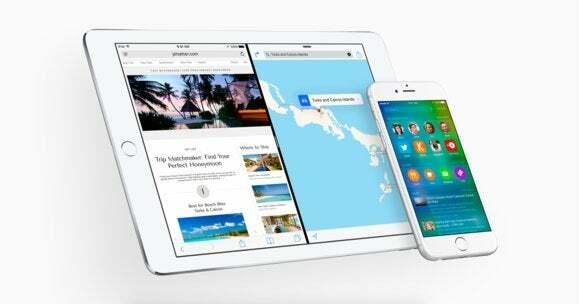 Apple has created a Move to iOS app designed specifically to convert Android users. Move to iOS is a quick and seamless way for Android users to transfer their contacts, message history, mail accounts, calendars, photos, videos and free apps to their new iPhone. It even adds a list of paid apps you bought for your Android to your Wish List in the App Store. Will this update affect my battery life? Yes, it should—but in a positive way. Apps and key features on iOS 9 have been made more efficient to preserve battery life by one hour, Apple claims. How? The iPhone’s built-in sensors are used to determine when the device needs to light up and when it can remain dark. Taking it even further, you can enable the all-new Low Power mode when your battery is running low—Apple says it can make your iPhone last up to 3 extra hours. Siri can now take into account your location, the time of day, recurring activity, usage patterns, the app you are viewing or other connected devices to better anticipate your next move and surface relevant actions and information. All this before you even have the chance to ask or type in a query. When you plug in your headphones, for example, Siri will suggest to start playing the music playlist you typically listen to during that time of day. Or when you connect your iPhone to your car’s CarPlay or Bluetooth stereo, Siri will ask whether you want to resume listening to the audiobook you’ve been enjoying during recent commutes. Do I have to launch Siri every time I want assistance? The thing about Siri’s new “proactive” approach is that it’s better integrated with native apps to work in the background and serve up the most relevant information. For example, Siri simultaneously taps into your Calendar events and uses the location, routing, and traffic info in Maps to send you a notification when you should leave for an appointment to make it there on time. Similarly, when you receive a call from a phone number not in your Contacts, Siri can check your Mail messages for that number, in an attempt to identify it for you. Why should I care that developers now have Spotlight search API? iOS 9 will have a more robust Spotlight search engine that will surface deep links to your downloaded apps right in the search results. For example, if you search for the name of a food in iOS 8, you’ll get any mentions of that food in your email, plus results from the Web and Wikipedia—but in iOS 9, your results could include recipes from Yummly or other food apps you have installed, and tapping it provides a deep link into that app so you go right to the recipe you want. Apps like Vevo, YouTube and Vimeo, will allow you to play a video directly in the search results. Maps finally includes mass transit directions. What took so long? Can I use Maps’s new transit directions in Columbus, Ohio? No, not yet. Maps’s transit directions are only available in the following U.S. cities: Baltimore, Chicago, New York, Philadelphia, San Francisco and Washington, D.C. Internationally, Maps will bring public transit directions to Mexico City, London, Berlin, and Toronto, as well as 300 cities in China. Anything else new with Maps? 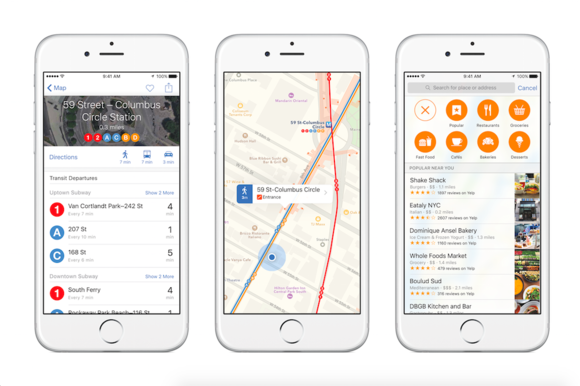 In iOS 9, Maps also incorporates a Nearby feature that showcases more information from local businesses, including whether they accept Apple Pay. Did any other Apple apps get a big improvement? Note-taking apps may not be the flashiest, but iOS 9 gives Notes enough bells and whistles to compete against Evernote and Microsoft’s OneNote. In Notes, you can now use your finger to sketch. You can also take a photo without having to leave the app to make your Notes more visual. In addition, URLs and maps show up as graphical links. Notes can also turn any list into an interactive to-do checklist, giving you the ability to cross off different items one by one. Lastly, Notes is now a destination in iOS 9’s Share sheets so you can compile webpages from Safari, directions from Maps, or attachments from another app right into your Notes. What’s happening to the Passbook app? 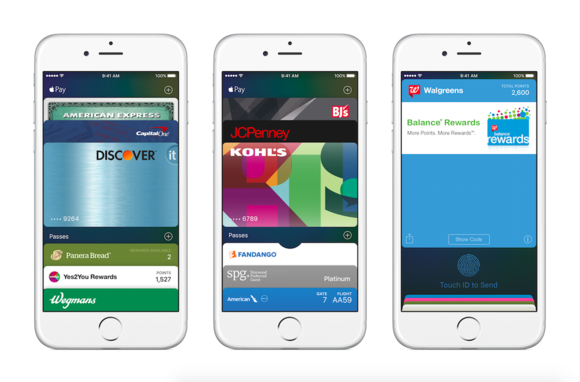 In iOS 9, Passbook gets replaced with a brand-new Wallet app. You will still be able to store your Starbucks card, concert tickets and boarding passes in your Wallet, just like you could store them in Passbook. So then why change the name to Wallet? Wallet is also the home of Apple Pay. You will also be able to store credit cards and rewards cards from various retailers in your Wallet, including Kohl’s, Walgreen’s and JC Penney. Are all major payment services now onboard with Apple Pay? Yes! In addition to supporting transactions conducted by Visa, MasterCard and American Express, Apple Pay will add Discover cards this fall. How many businesses accept Apple Pay in the U.S.? According to Apple, next month over 1 million locations will accept Apple Pay. The number is expected to continue to increase as Square prepares a new mobile payment reader that will be equipped to take Apple Pay transactions. Is Apple Pay ever going to expand internationally? Yes—Apple Pay is launching in the U.K. in July. Why did Apple replace the Newsstand app with News? Publishers complained that the Newsstand app buried their content, so Apple came up with a more dynamic solution: a Flipboard-style reading app called News. What publications can I read using the News app? Over 50 publications have teamed up to join Apple’s News, including Time, People, Vogue, Wired, Vanity Fair, Cosmo, ESPN, The New York Times, CNN and Bloomberg. How will News stories look on my device? In order to keep a consistent design and visual identity, Apple has released a News Publisher app to help publishers create content specifically for News. Publishers will be able to tinker with layouts, typography, photos, videos and animations to create the most compelling content for News. iOS 9 introduces formatting buttons to the QuickType bar so that you can italicize, copy/paste or add attachments with just a tap. Another cool way to select and edit iPad text on iOS 9 is to simply place two fingers on the touchscreen to turn into into a trackpad that you can use to select text by dragging. Furthermore, third-party apps can customize the shortcuts that appear on the QuickType toolbar, so that you can have all the important buttons right at your fingertips. I heard I can now have two iPad apps open at the same time. How does that work? 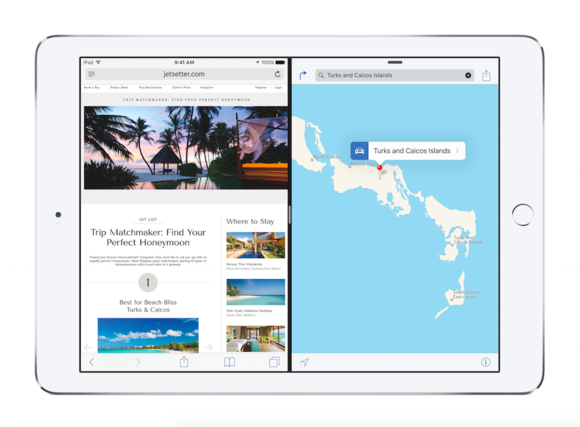 There are three ways to view and interact with two apps simultaneously on an iPad in iOS 9. First we have Slide Over where you can choose a second app to open up as a pinned sidebar on the right. Second is Split View where two apps take up half of the screen. Finally, Picture-in-Picture lets you watch a video or chat on FaceTime while having another app running in the background. The video screen becomes a smaller window that you can drag and resize. You’ll need an iPad Air, iPad Air 2, iPad mini 2, or iPad mini 3 for Slide Over and Picture-in-Picture, and an iPad Air 2 (or presumably, whatever comes next) for Split View. 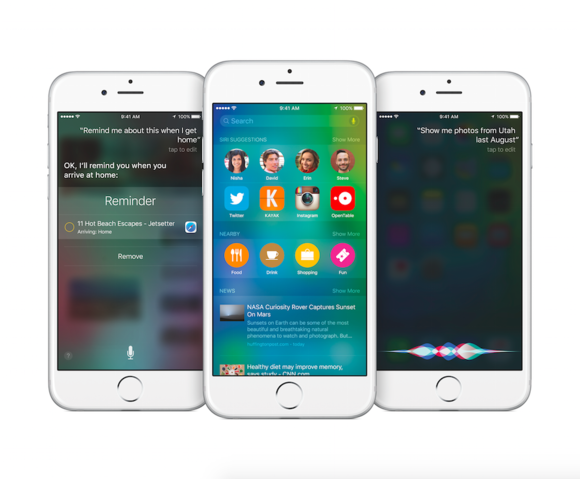 This story, "iOS 9 FAQ: Everything you need to know about Apple's new mobile OS" was originally published by Macworld.